At first I didn't like this song but it just grew and grew on me and it's ended up being a very good JT track. Then again, Timberlake in general has been one of those guilty pleasures of mine. For long periods of time I denied liking his music but in fairness he's a great talent, in a genre I really don't like much. That's pretty much my relationship with Justin Timberlake in a nutshell. "Suit and Tie" has some lovely grooves in the track courtesy of some sampling of "Sho 'Nuff" by Sly, Slick and Wicked and Timberland as always does a great job in producing the track. Jay-Z's rap at the end compliments the track well and the music video, directed by David Fincher is simple yet artistic in its simplicity. 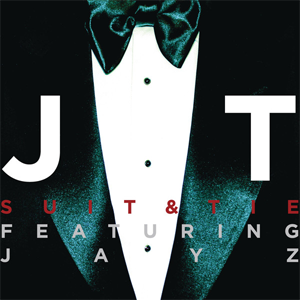 "Suit and Tie" is simply a fine effort by Justin Timberlake and it became one of my most played tracks of the year 2013. If you missed #64 go here.